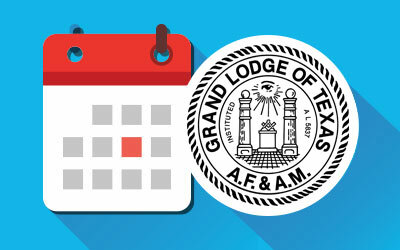 The Most Worshipful Grand Lodge of Texas had as its Most Worshipful Grand Master during the year 1972, Jack Hightower, a Mason well suited to the honors and qualified for the responsibility conferred upon him by his fellow Masons. Brother Hightower is a native Texan having been born September 6, 1926, in Memphis, Hall County, Texas, the son of Walter Thomas Hightower, now deceased, a member of Memphis Lodge No. 729, and Mrs. Floy English Hightower. He graduated from Memphis High School with honors in 1944. Before entering Baylor University, he served in the United States Navy, returning to civilian life to complete his education. He received a Bachelor of Arts degree from Baylor University in 1949 and a Bachelor of Laws degree from the same school in 1951. Upon completion of his education, Brother Hightower returned to his native west Texas and began the practice of law in Vernon. Shortly, thereafter, in 1952, he was elected to the Texas House of Representatives without opposition. He did not seek re-election but was appointed District Attorney for the 46th judicial District in January, 1955. During this period of service he was named one of the state’s Outstanding District Attorneys. Since his election to the Texas Senate in 1964, Brother Hightower has served on all of the major committees of that body and has made an enviable record for himself. In the regular session of 1971, he was elected President Pro Tempore, a position which placed him third in line for the governorship. On April 3, 1971, during the absence from the state of the Governor and the Lieutenant Governor, he served as Acting Governor. 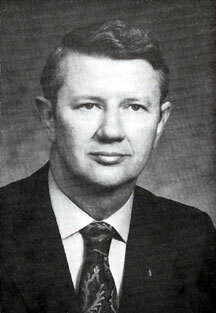 Governor Price Daniel appointed Jack Highower to the Board of Regents of Midwestern University in 1962, where he served as Vice-Chairman until his election to the Texas Senate. He has also served as President of the Texas District and County Attorneys Association, on the Texas Law Enforcement Commission and as Vice-President of the Texas Junior Bar Association. Colleen Ward Hightower and three daughters, Ann, Amy and Alison lend warmth and glamour to the Hightower home at Vernon and give support to their husband and father in his public life. Civic, professional and church responsibilities have played an important role in the life of the Jack Hightower family. Mrs. Hightower is a talented musician and serves as organist for their church. Brother Hightower teaches a Men’s Bible Class and serves as a Deacon of the First Baptist Church of Vernon. He has also served the Baptists of Texas on the Board of Directors of The Baptist Standard, the Board of Directors of the Texas Baptist Children’s Home, and is now serving on the Human Welfare Commission of the Baptist General Convention of Texas, and on the Board of Trustees of Baylor University. In May, 1971, he was honored by Howard Payne College with an honorary Doctor of Laws degree. In his community he has served as President of the Vernon Lions Club, as a director of the Vernon Chamber of Commerce, and other places of civic responsibility. Jack Hightower has also had a distinguished record of service in the Masonic fraternity. He was raised to the Sublime Degree of a Master Mason en August 29, 1953, in Vernon Lodge No. 651, in Vernon, Texas with his friend of many years, Brother George Moffett, then serving as Grand Senior Warden of the Grand Lodge of Texas, acting as Worshipful Master of the Lodge. He held various offices in the Lodge and was elected Worshipful Master in 1960. His service to the craft has been recognized by conferment of offices and honors by all of the Bodies in which he is a member. From 1964 to 1966 he served as High Priest of Vernon Chapter No. 192, Royal Arch Masons and as Thrice Illustrious Master of Vernon Council No. 130, Royal and Select Masters. He is a member of Vernon Commandery No. 33, Knights Templar, and served as Commander in 1959. He holds membership in the Knights of the York Cross of Honor and the Red Cross of Constantine. He is a 33° Inspector General Honorary in the Dallas ‘Scottish Rite Bodies, and is a member of Maskat Shrine Temple in Wichita Falls, Texas. His service to the Grand Lodge of Texas began in 1961, when he was appointed District Deputy Grand Master of the 90th Masonic District. He served on the Committee on Grand Officer Reports in 1964 and on the Masonic Jurisprudence Committee from 1965 to 1969, serving as Chairman in 1968 and 1969. He was Grand Orator in 1966 and was elected Grand Senior Warden in 1970. 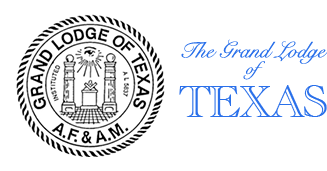 In 1971 he served as Deputy Grand Master and as Secretary of the Board of Directors of the Masonic Home and School of Texas. 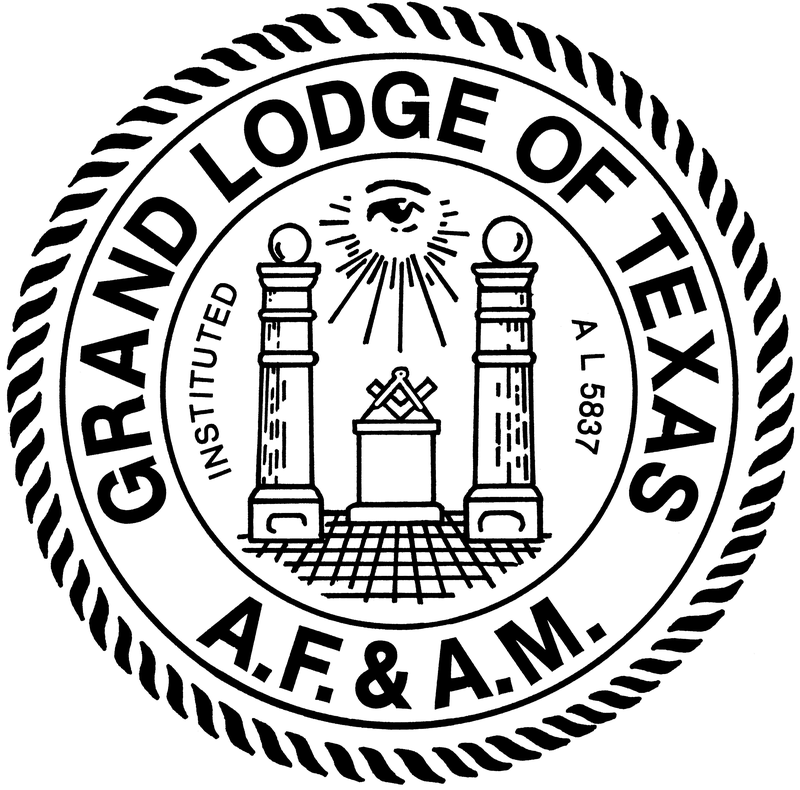 On December 2, 1971, he was elevated to the office of Most Worshipful Grand Master of the Grand Lodge of Texas, serving earnestly in this place of leadership until December 7, 1972.